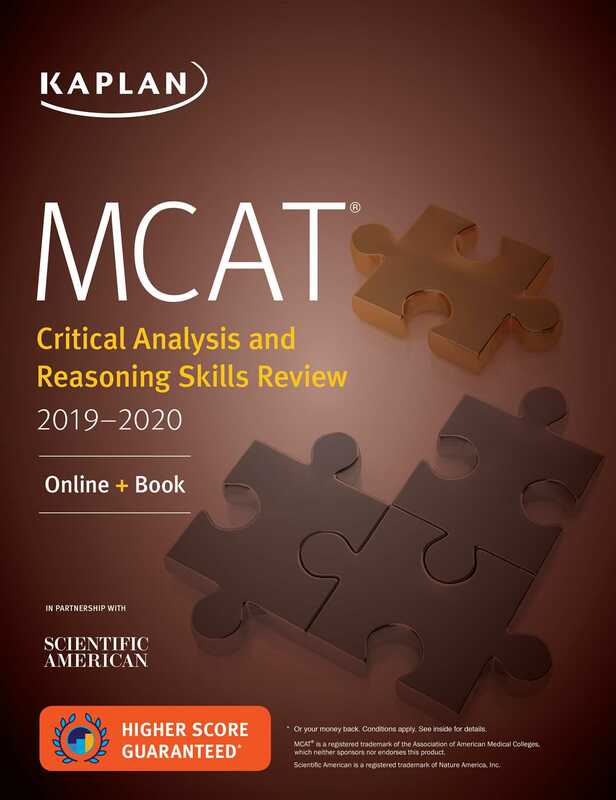 Kaplan's MCAT Critical Analysis and Reasoning Skills Review 2019-2020 offers an expert study plan, detailed subject review, and hundreds of online and in-book practice questions – all authored by the experts behind the MCAT prep course that has helped more people get into medical school than all other major courses combined. More than 350 questions in the book and access to even more online – more practice than any other MCAT CARS book on the market. Comprehensive CARS subject review is written by top-rated, award-winning Kaplan instructors. Expanded content review for research design and the execution of research, and data-based and statistical analysis.